I hope you’re ready for another fudge recipe, because I have a fantastic recipe for you. 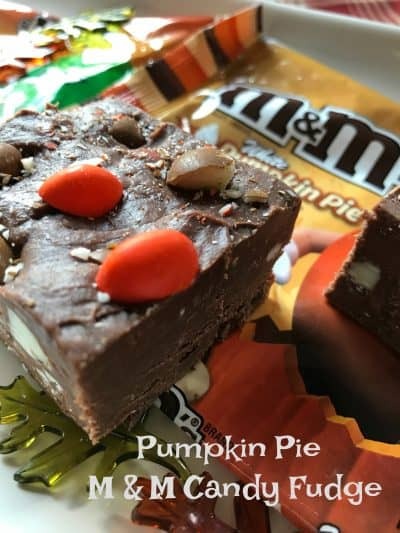 Pumpkin Pie Flavored M & M Candy Fudge is super easy and super delicious. 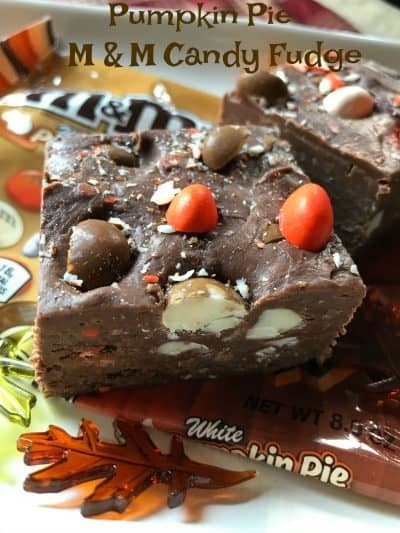 This special fudge, is made with the new white chocolate, pumpkin pie flavored m & m candies. As I’ve stated before, I love me some m & m’s. New white chocolate, pumpkin pie flavored m & m’s are super fantastic and this fudge is super delicious! 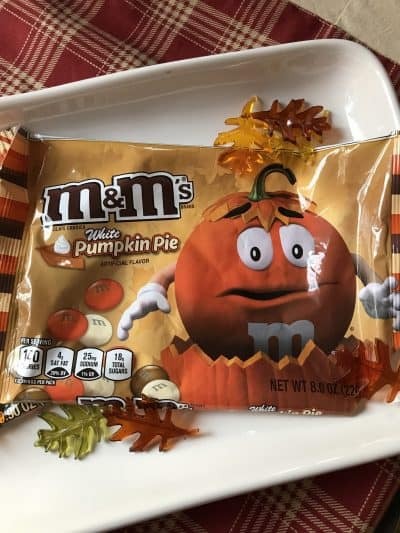 Another great m & m flavor. I know I have said this before but this will be my last fudge recipe. Well ok not yet! My daughter has asked me to make Fred a batch of Eggnog Fudge, so what was I going to say, no. Of course not, not me. There is always room for ‘just one more’ right. Thirty years ago, ‘just one more’ would have referred to ‘just one more beer’ or ‘just one more round’ before it was time to leave the bar, the party or before going home or to bed!! Fudge made with pumpkin pie flavored m & m's. Sounds good doesn't it! Line 8-inch-square baking pan with foil. Lightly butter. In a small food chopper, coarsely grind 1 cup pumpkin pie flavored m & m's, set aside. 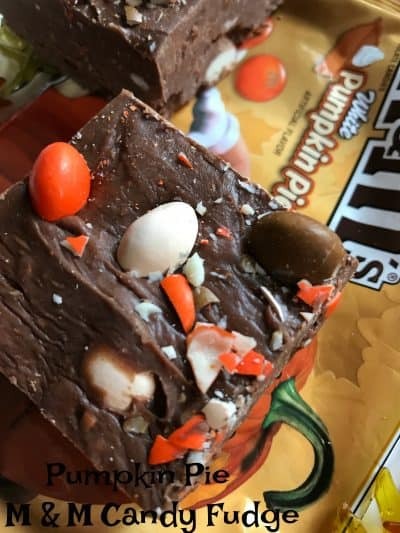 Coarsely chop remaining pumpkin pie flavored m & m's, set aside 2 tablespoons chopped candies for top of fudge. Combine sugar, evaporated milk, butter, salt and ground cinnamon in medium, heavy-duty saucepan. Bring to a full rolling boil over medium heat, stirring constantly. Boil, stirring constantly, for 4 to 5 minutes. Remove from heat. Here at Turnips 2 Tangerines, we have somewhat of a sweet tooth. You do too?!? Then take a look at these recipes. Mini M & M Blonde Blondies, Pecan Pie M & M Candy Fudge and Chocolate Pretzel Candy.